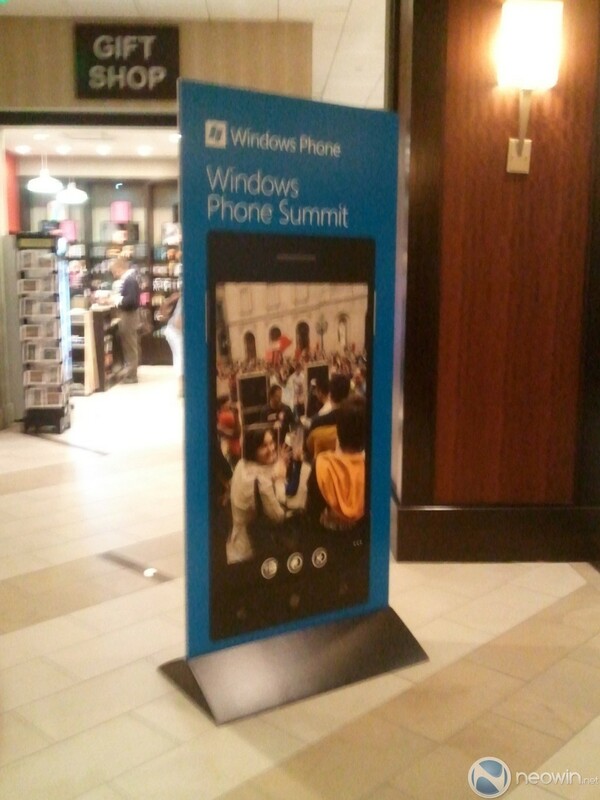 Microsoft is today announcing Windows Phone 8 and is currently showing off the Windows Phone 8 platform preview. 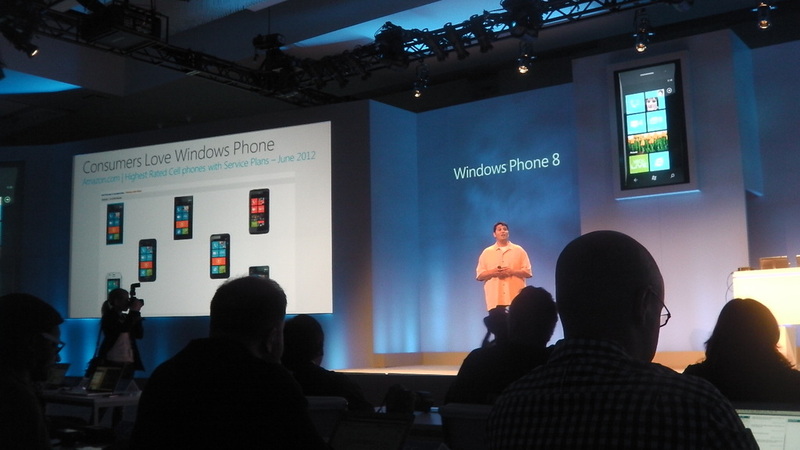 Windows Phone 8 will ship with a common core that is cross-functional with Windows 8 and it will be on sale later this year and in time for the holiday shopping season. 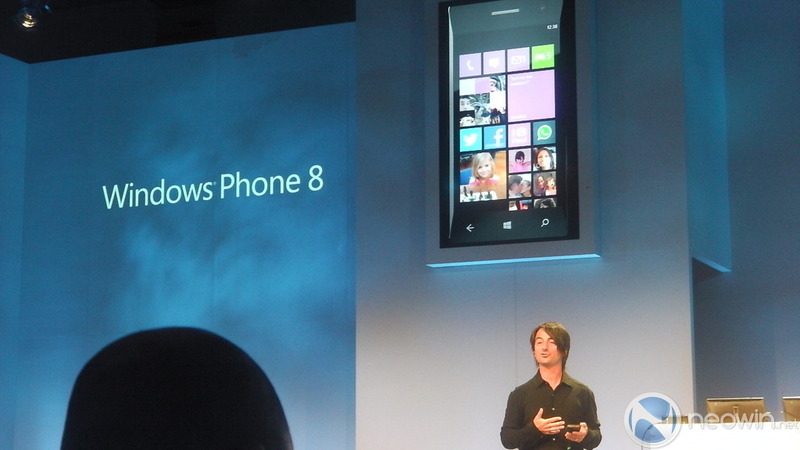 Developers who are working on Windows 8, will easily be able to move their applications to the phone platform. 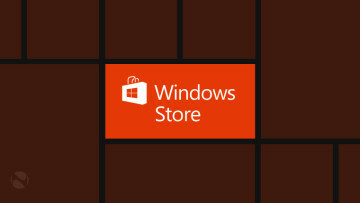 Likewise, those who have already developed applications for Windows Phone, will easily be able to move their applications to Windows 8 and Windows Phone 8. 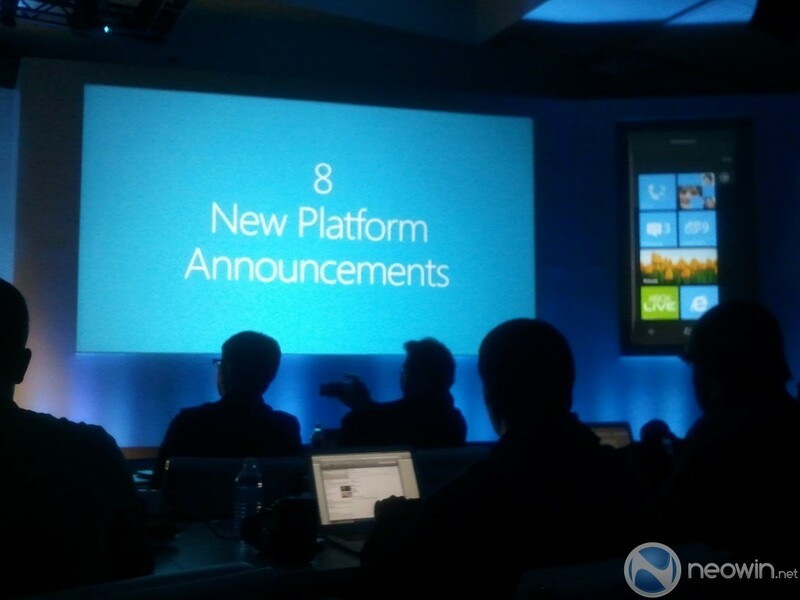 There are 8 new platform enchantments that define Windows Phone 8. 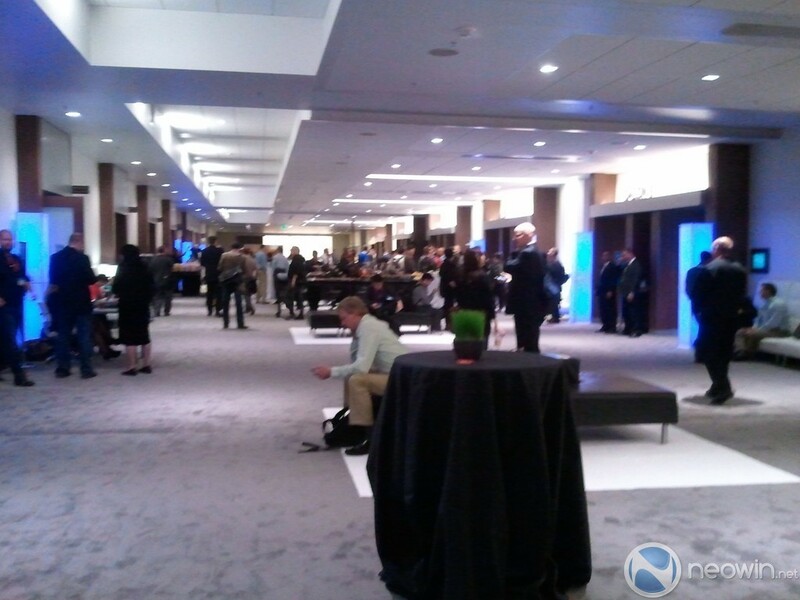 Microsoft will only be focusing on the platform at this event and not all consumer features will be shown off. 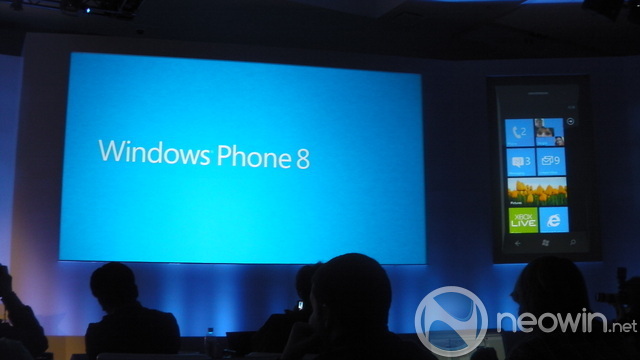 Windows Phone 8 will bring multi-core support, but expect to see dual-core phones this fall; Microsoft is currently working on battery support on multi-core for Windows Phone. 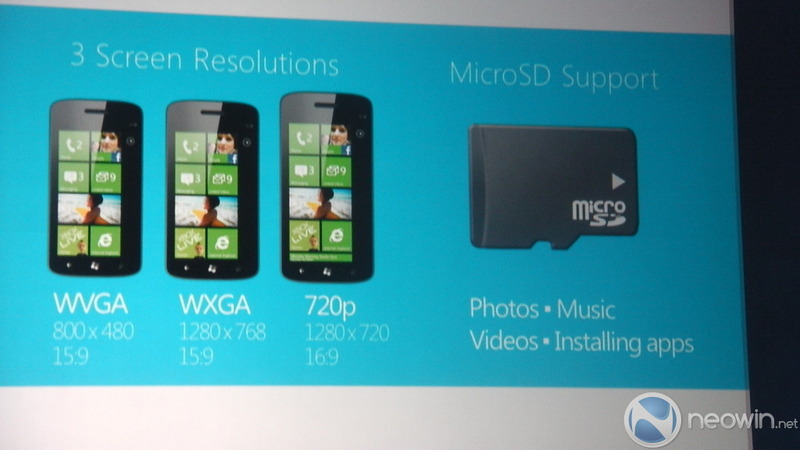 There will also be two new resolutions for Windows Phone and they will be 720P and WXGA (or as they call it 720P+) and Microsoft is saying that all current applications will work on these new resolutions. Removable Micro SD support will be core to the platform too. Microsoft believes this will allow vendors to create lower costs device as they can ship with less memory and then you can supplement with an SD card if you need more storage. Microsoft will also be bringing IE10 to Windows Phone and it will be using the same engine as on the desktop which will make web developing easier. 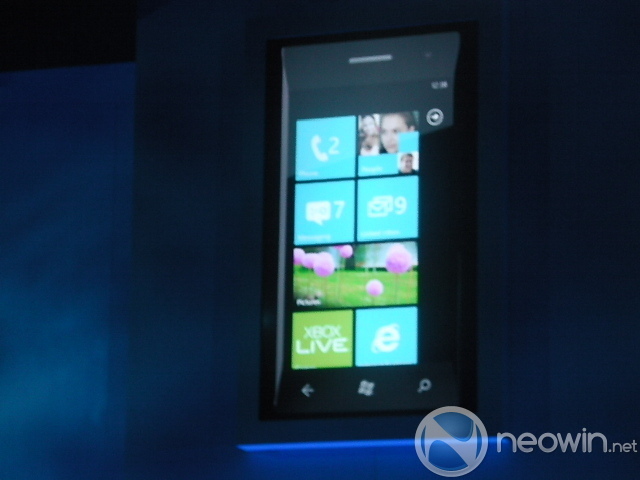 It will also come with Microsoft's SmartScreen technology to help keep you (and your family members) safe on the web. 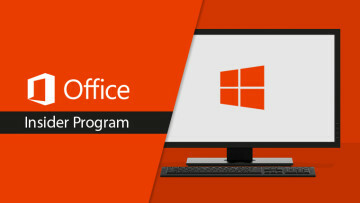 For developers out there, Microsoft will be bringing native code support which will allow for top notch games and capabilities. 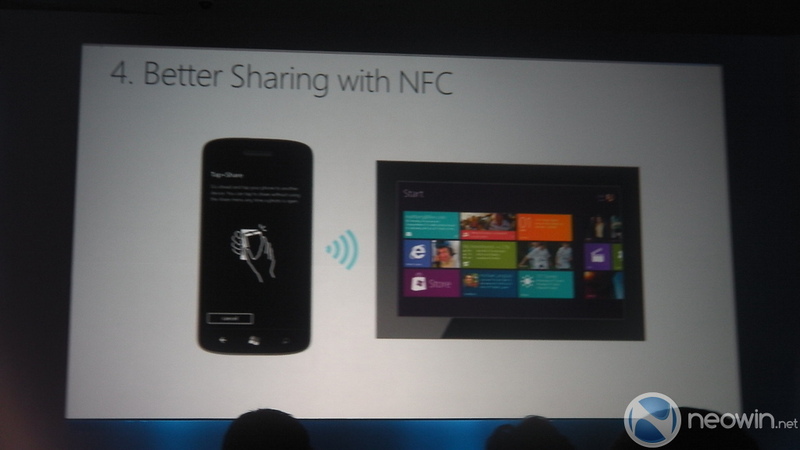 NFC will also be available on Windows Phone 8 that will allow communication between phones, tablets and PCs. 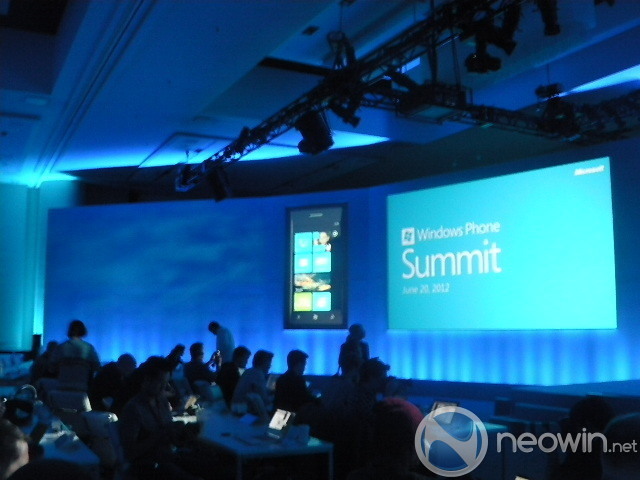 Microsoft is also bringing a wallet solution to Windows Phone 8 and are calling it the "most complete" solution on the market (or coming to the market with iOS6). The Wallet hub will integrate receipts, frequent flyer information, balances, and with a secure SIM, you can use cards in your wallet to make purchases and payments. Currently, they are working with ISIS but at launch, will not be onbaord with the service that nearly all US carriers are using. 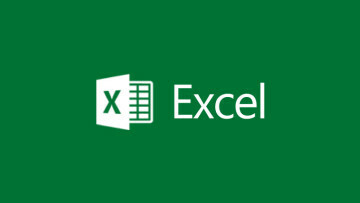 Microsoft said to expect ISIS integration, next year. 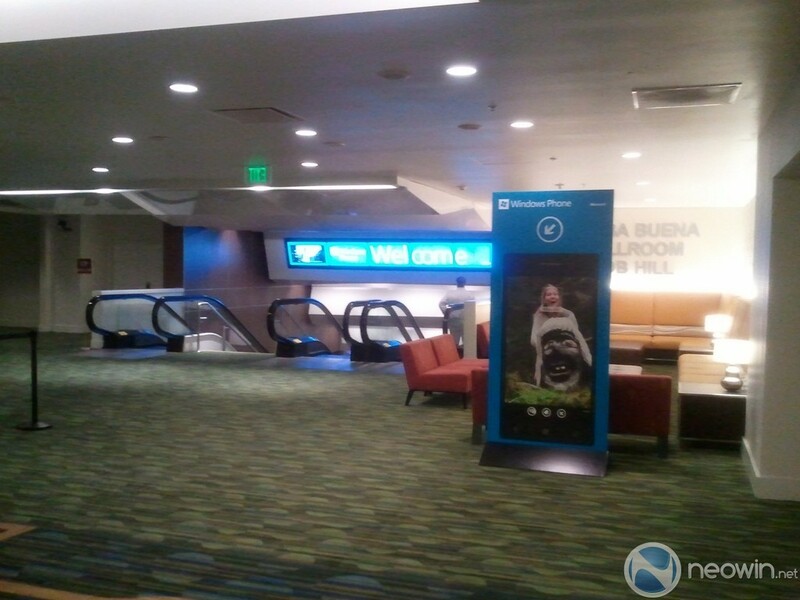 Nokia mapping information will be a key part of Windows Phone 8 and will work offline and all third party apps will be able to access offline maps too; Nokia will be bringing an update to their turn by turn application as well. 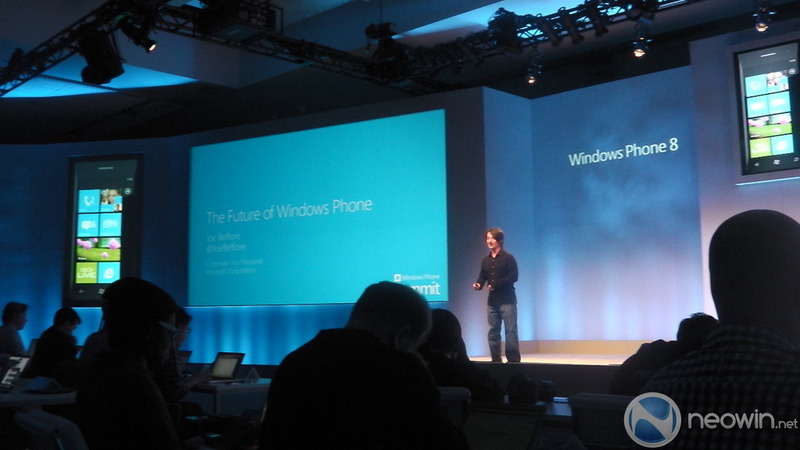 Windows Phone 8 will be enterprise ready with encryption and secure boot. 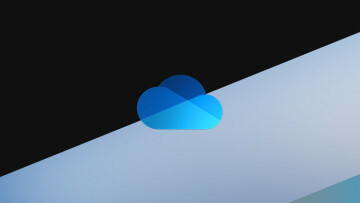 Bit-Locker will be locking down the data and make it safe for corporations. 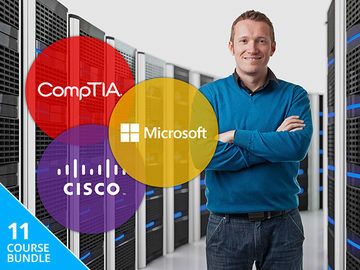 IT folks will also be able to sign and deploy application without using Microsoft's Marketplace. 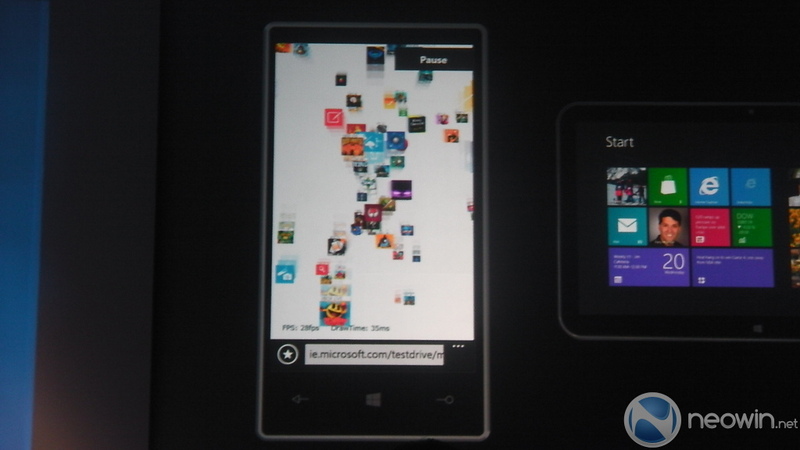 Microsoft will also be changing the Start screen on Windows Phone 8. 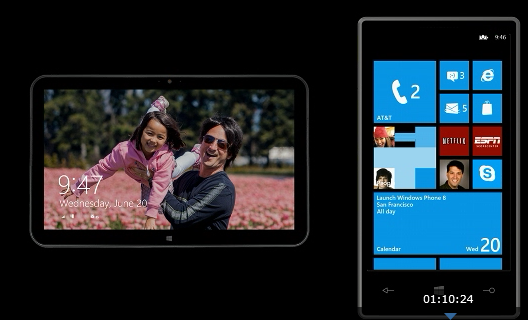 The new start screen is more personal and looks dramatically different than Windows Phone 7. 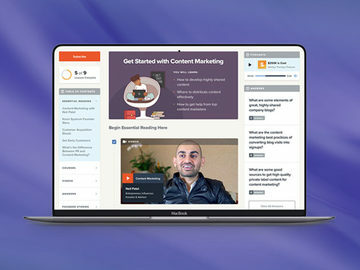 The new look will be more personal and align better with Windows 8. 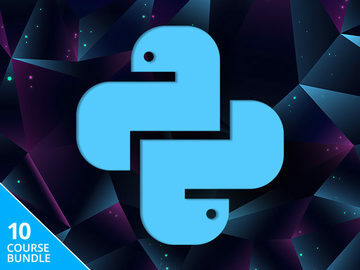 This means that you are in control of your tiles and re-arrange them how you see fit which includes the ability to resize the tiles on the screen. 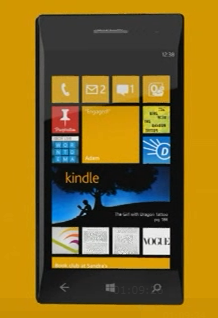 Additionally, for those who have asked for more color options, those too will arrive with Windows Phone 8. 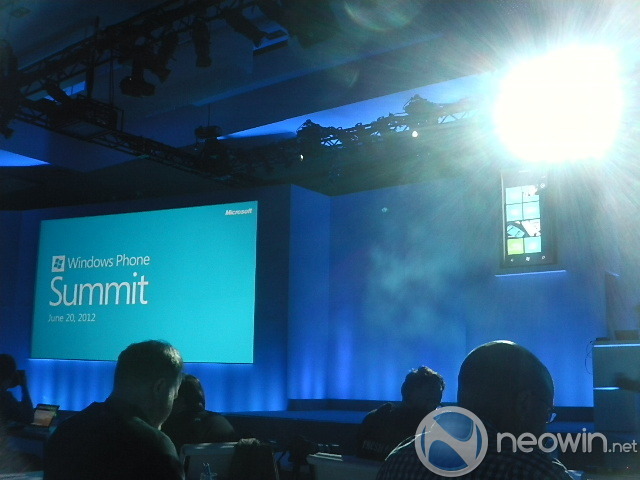 Watch Microsoft's Windows Phone event live stream right here!